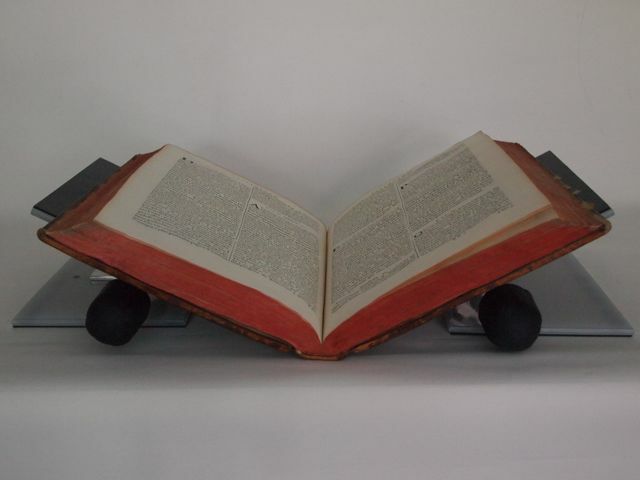 Many forms of book wedges are available for the reading room, ranging from the familiar Clarkson foam, wood ones, as well as some newer ideas from the At the Bench blog. 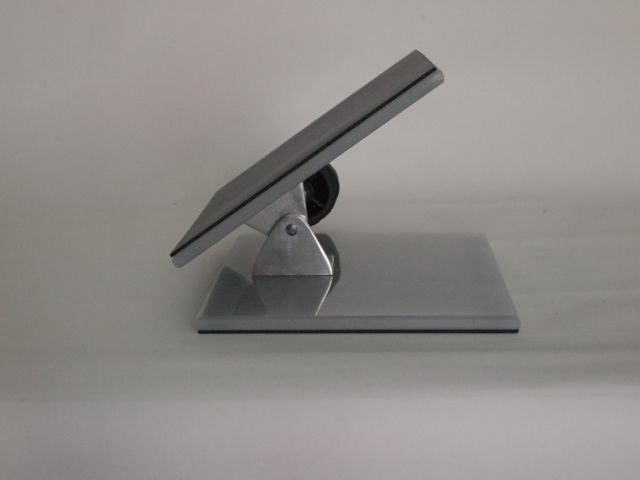 There are also many options for the safe display of books. 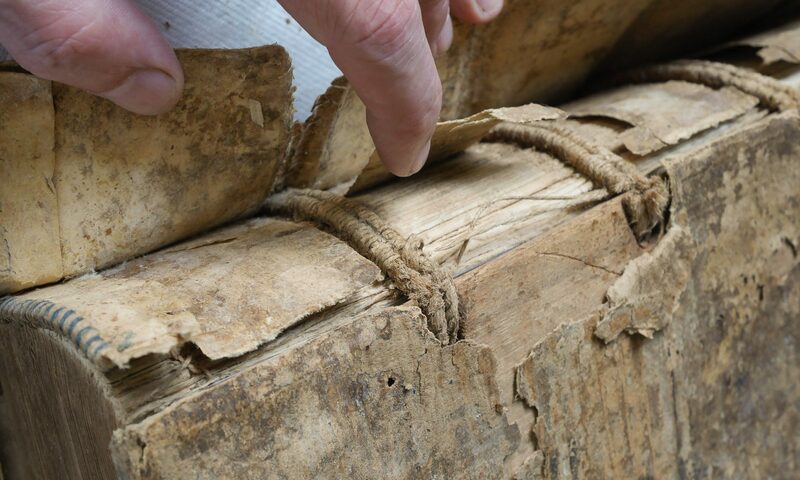 A third need — to secure books partially open while undergoing treatment and examination — seems to have been ignored, or commonly jerry rigged with weights and pressing boards as the need arises. 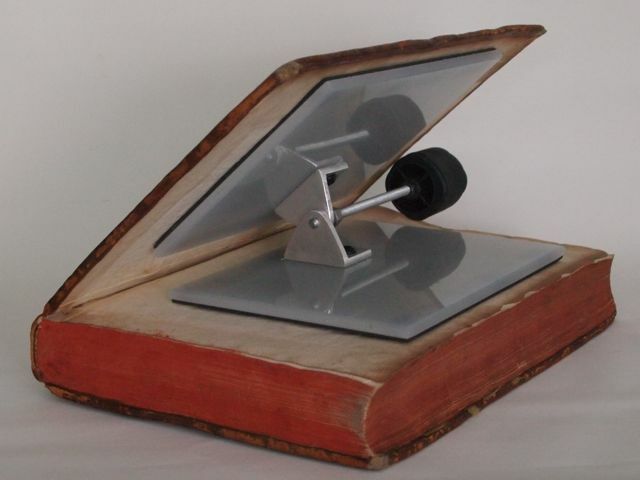 I developed the in-situ book conservation fixture to securely hold a textblock open while performing page repairs, working under magnification, media consolidation, etc. 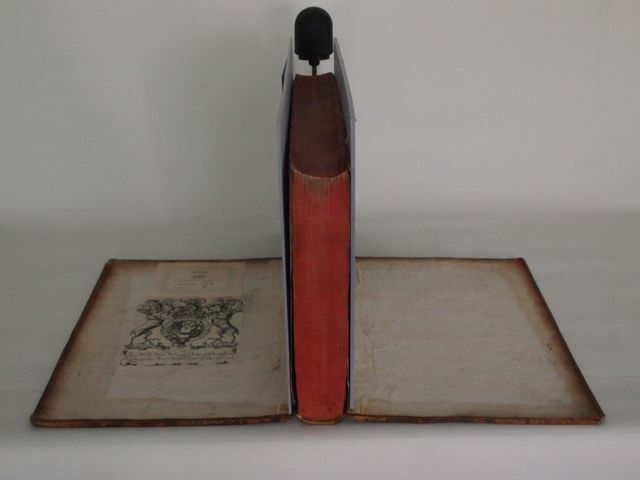 It is large and heavy, and can easily accommodate parchment textblocks. 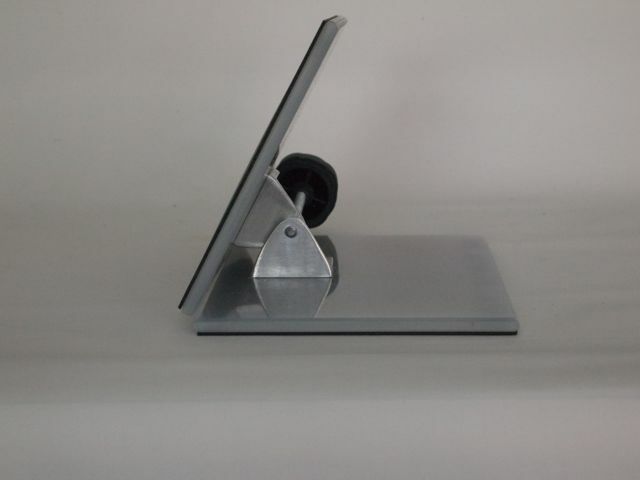 The book jack is small, lightweight, and designed for use on the workbench. 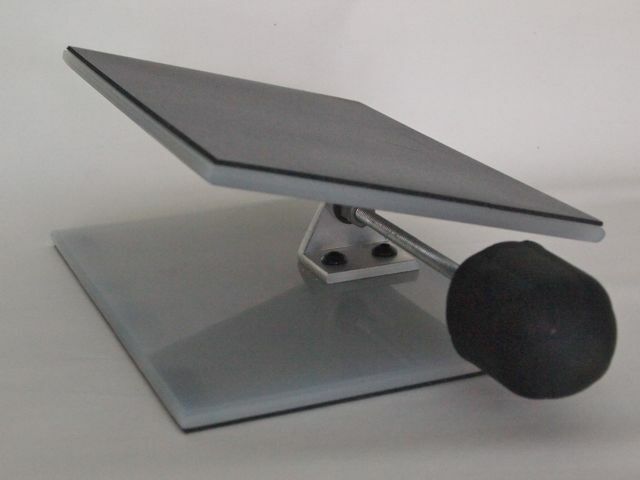 It quickly and easily adjusts from 15 to 60 degrees, locks securely into place by a built in handle, and provides a more rigid support than foam. 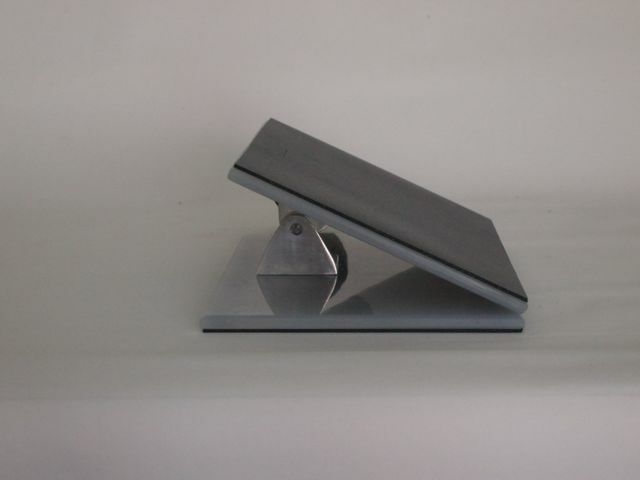 This fixture that holds the book, or boards, open in a wide variety of positions to reduce strain while performing treatments. The small size permits it to be used inside a book to work on board edges and corners. 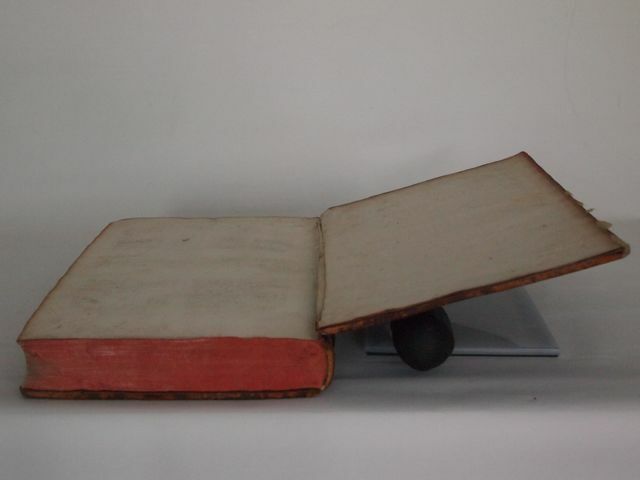 It can also be used to support a textblock upright when rebacking or humidifying warped vellum boards, although additional weights may be necessary to stabilize it. I use this fixture constantly, from initial examination throughout the treatment. The natural, translucent .25 inch thick polypropylene platens are lined with an easily replaceable .0625 inch thick closed cell polyethylene foam ( aka. Volara). 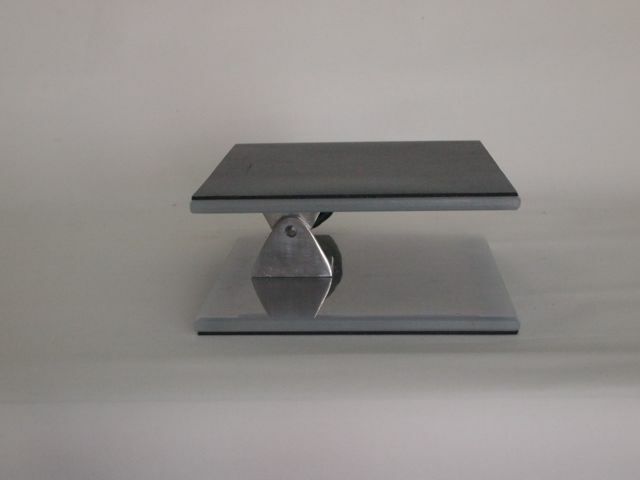 The adjustment mechanism is 6061 T6 aluminum and a comfort grip handle, which has a lower profile than the platens at any angle, so that relatively large books can be supported. 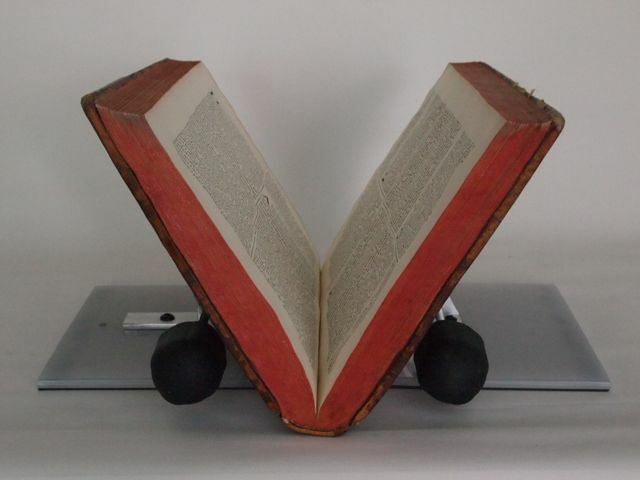 Ohhhh… book wedge! I thought you said book wedgie.